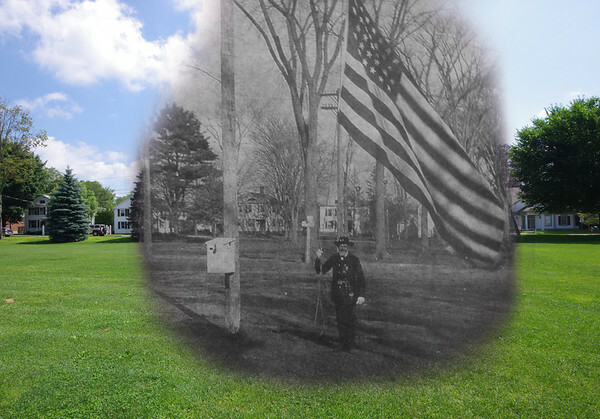 Town Green – Colchester, CT – July 2011 mixed with November 10, 1905. 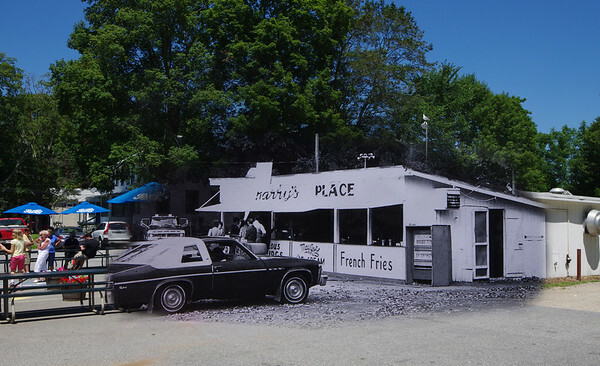 Art’s Sportsmen’s Tavern (1940’s) at the present location of Cafe on Main (2011) in Colchester, CT. 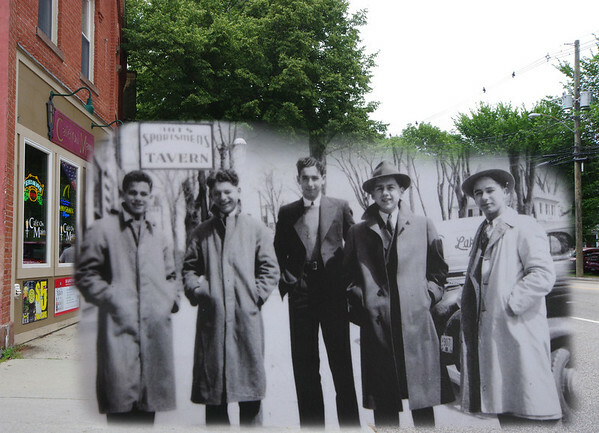 Shown are Leon Shedroff, Paul Groobert, Philip Liverant, Alex Garrick and Richard Adler in front of the tavern, owned by Arthur Zupnik. Harry’s Place – Colchester, CT. This is May 2011 mixed with October 1979. For more details on these photos and tips on how they were created, please see this post.